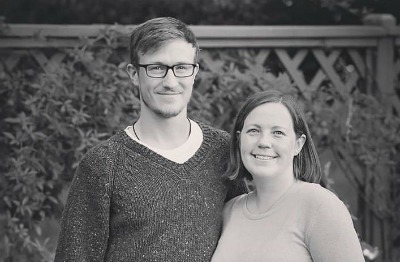 Meet the innkeepers – sister and brother duo Emily and Eli keep things going at MaMere’s Guest House in Monmouth Oregon. ‘How did we come to run the inn? The story starts loooooong ago. Emily helped out at an B&B in SE Alaska during high school and college and got a wild hair that she wanted to do this someday. T he dream never went away. After getting her masters degree is public health and settling in Monmouth, Oregon with her husband Mike she decided she needed to pursue this a bit further and not just let it be a “what if..”. At the time the fabulous owner of MaMere’s, Terri, agreed to talk to Emily about what it is like to run a b&b. Emily helped out some and just couldn’t get the historic Howell House out of her mind. ‘Our parents, Bill & Sarah, were super supportive of Emily’s passion and in what seemed like a blink of eye, the stars aligned and our parents decided to buy the charming B&B in August of 2016. Giving Emily the opportunity to turn her “what if” into a “why not?”.